The Homeworld Remastered Collection has been officially unveiled by Gearbox Software at PAX South today. The game will feature a high-definition upgrade to all the assets, new voice-recordings from the original cast, and updated cinematics that also keep in with the games original theme and style. It will also include access to a new Homeworld Remastered Steam Multiplayer Beta, which combines both classic games into one platform for a wider variety. Gearbox have also laid down a launch date for the game too: February 25th. It will be available via Steam, and you can pre order today for a 15% discount. 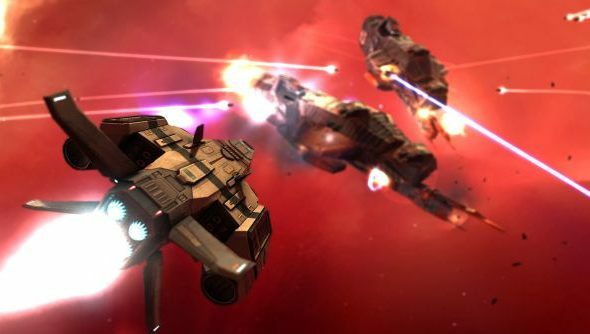 Gearbox Software acquired the Homeworld franchise back in 2013. at an auction for some of now-extinct THQ remaining assets; they beat out both Paradox and Stardock for the Homeworld IP. Nearly two years later, and Gearbox are finally able to show off the “new coat of paint” they’ve given to the space RTS classic. All the models have been completely overhauled using the “latest graphics-rendering technology”. More impressive is the remastered voice recordings, where Gearbox have managed to keep the majority of the original cast. 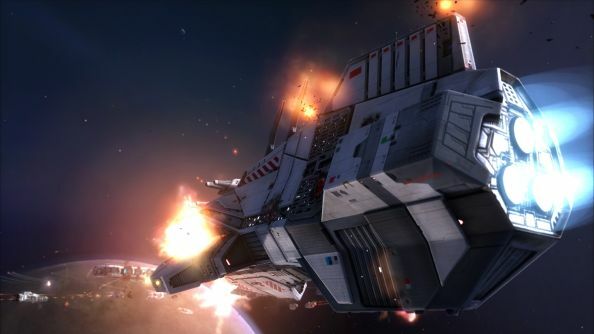 Those who purchase the Homeworld Remastered Collection will not only get the original Homeworld and Homeworld 2, but also access to the new Homeworld Remastered Steam Multiplayer Beta. Gearbox have fused the multiplayer modes, races, and maps from both games into one platform, offering players more choice than ever for their multiplayer space antics. The game is available today for pre-order on Steam, with a 15% discount for $29.74, and will launch next month on February 25th.